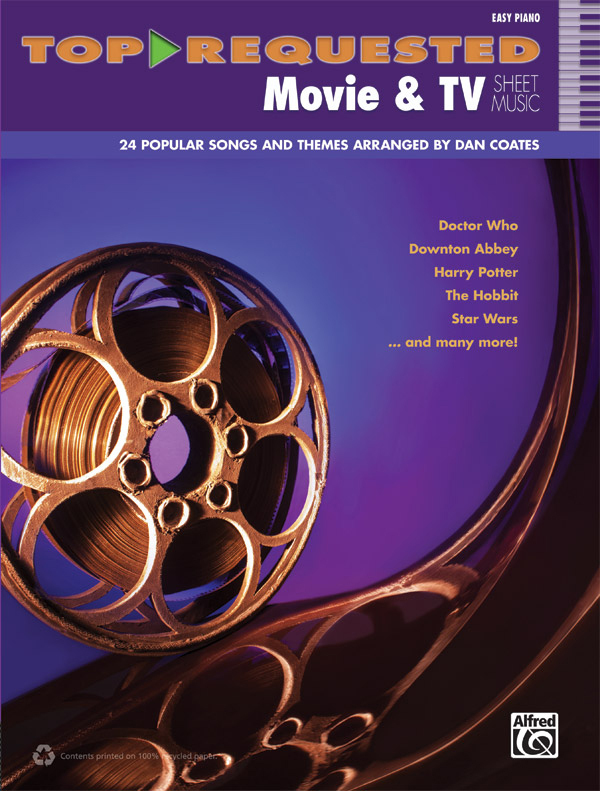 * Pianists will find unlimited fun in this collection of 24 easy piano arrangements of the world's most familiar musical themes from movies and television. * Spanning several decades of entertainment history, the 24 selections in this book will delight audiences of all ages. * Titles: As Time Goes By (Casablanca), The Ballad of Gilligan's Island, The Big Bang Theory (Main Title Theme), Cantina Band (Star Wars Episode IV: A New Hope), Concerning Hobbits (The Lord of the Rings: The Return of the King)* Doctor Who Theme, Downton Abbey - The Suite, Falling Slowly (Once), Harry's Wondrous World (Harry Potter and the Sorcerer's Stone),Hedwig's Theme (Harry Potter and the Sorcerer's Stone), The Imperial March (Darth Vader's Theme), Into the West (The Lord of the Rings: The Return of the King), James Bond Theme, Let Me Be Your Star (SMASH), Song from M*A*S*H (Suicide Is Painless), Misty Mountains (The Hobbit: An Unexpected Journey), The Notebook (Main Title), Over the Rainbow, The Pink Panther, Raiders March, Secondhand White Baby Grand (SMASH), Star Wars (Main Title), Theme from Superman, A Very Respectable Hobbit.